I use WebView to display a html help which is build in my ressources. The files are part of the ressources as I was unable to package them as external files, so I was told (in another thread) to place them as resources. 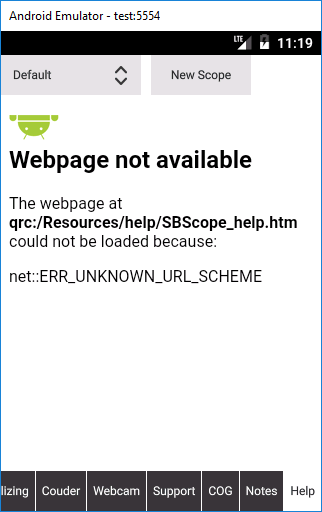 I have tried copying the files outside of the app (using a standardPath copy to tempDirectory, but this failed on Android). IIRC, on Androïd, check that the folder exist and create it if needed. Then you should be able to copy your files over there. I meant the target folder.